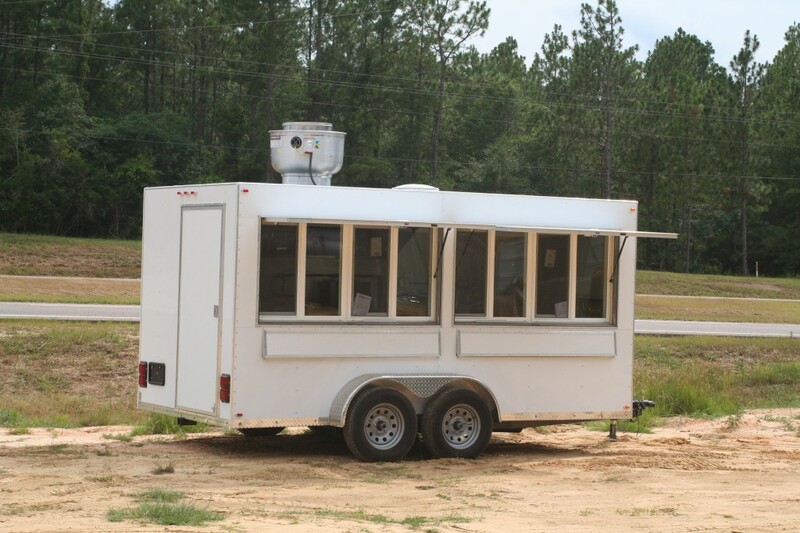 This is our entry level 7 x 14 Concession Trailer. 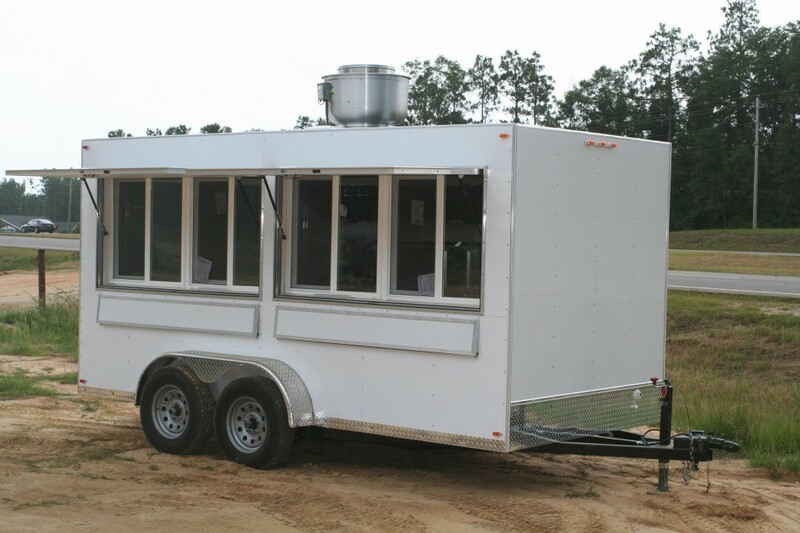 This is a great trailer to start out with and can be customized to just about any way that you would like it! This is one of the most popular trailers this year. The size is very comfortable for 2 – 3 people to be in at a time. It is also very comfortable to pull not too large or too small! You have several colors to choose from: Red, White, or Black. 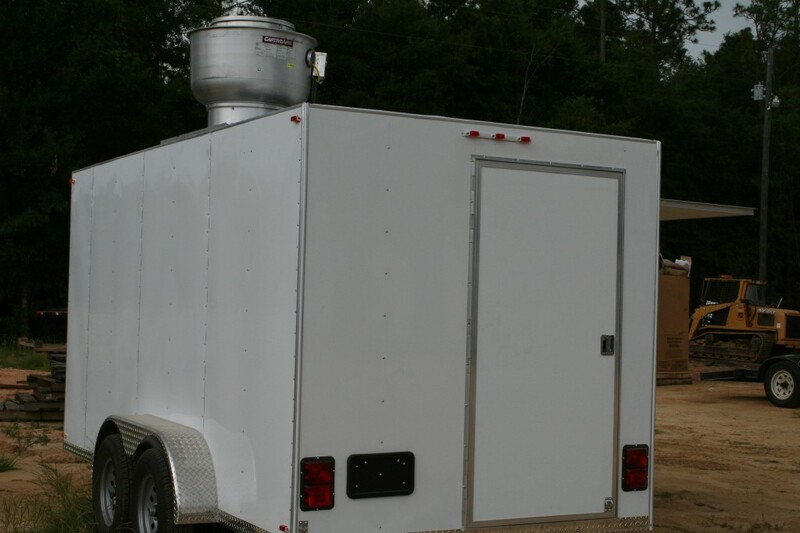 This particular trailer comes standard with 2 concession windows and 1 flush mount entry door. 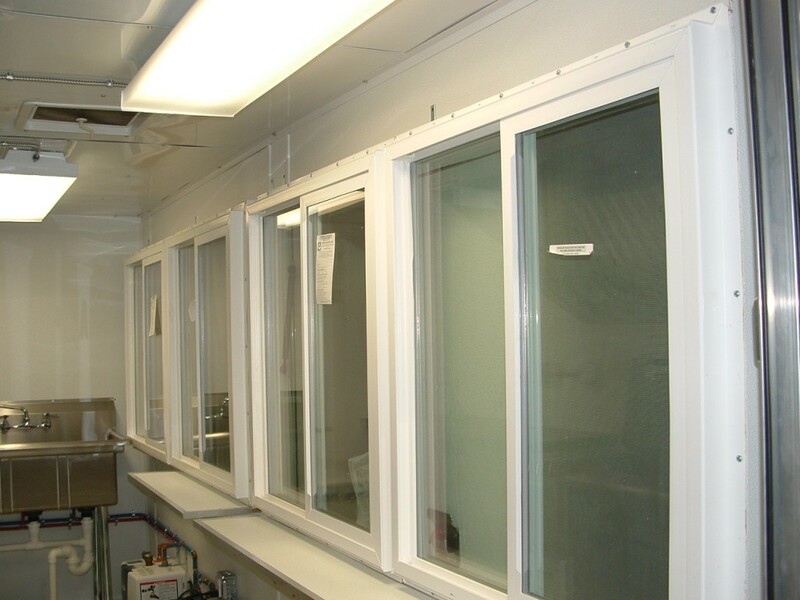 The 2 concession windows are large 36 x 72 openings that have two separate 36 x 36 windows with removable screens in each. 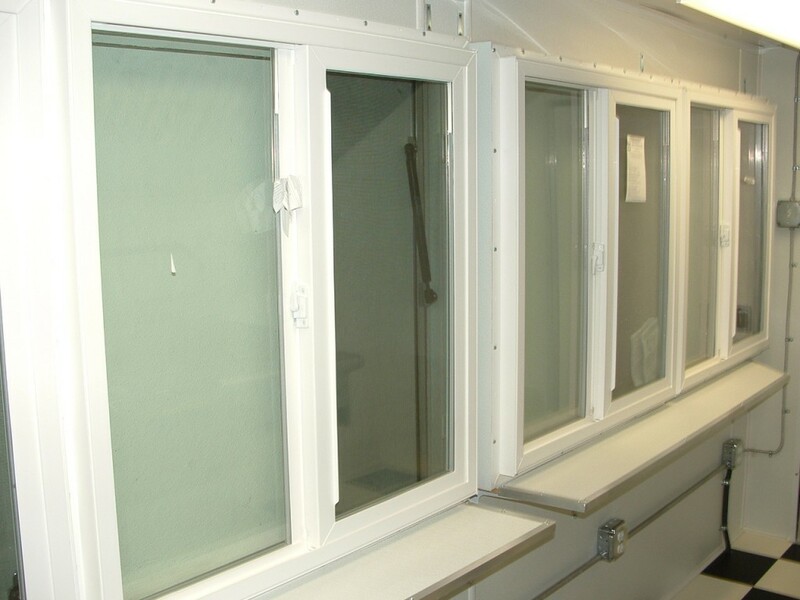 This means that you can accommodate four different lines at once! The door placement and window placement are all up to you as well as the placements inside the trailer itself. 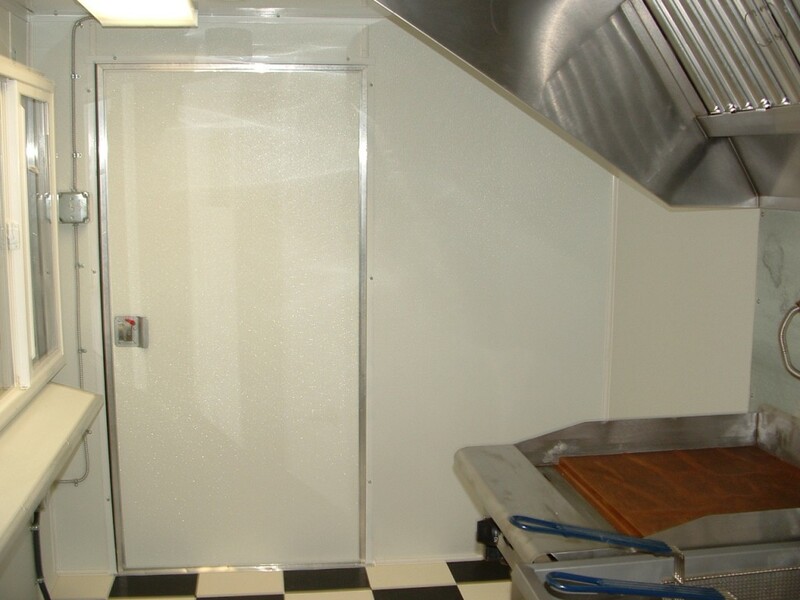 The standard height inside the trailer is 6ft. 6in. 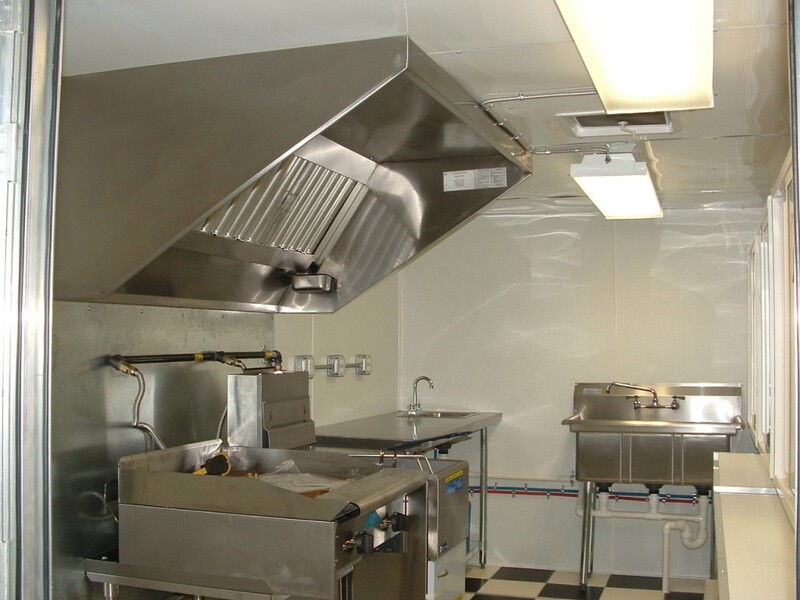 A 5ft stainless steel NSF approved exhaust hood also comes stock with this trailer. The equipment includes a 24″ Griddle and a 40lb Fryer. All cooking equipment is LP Gas. 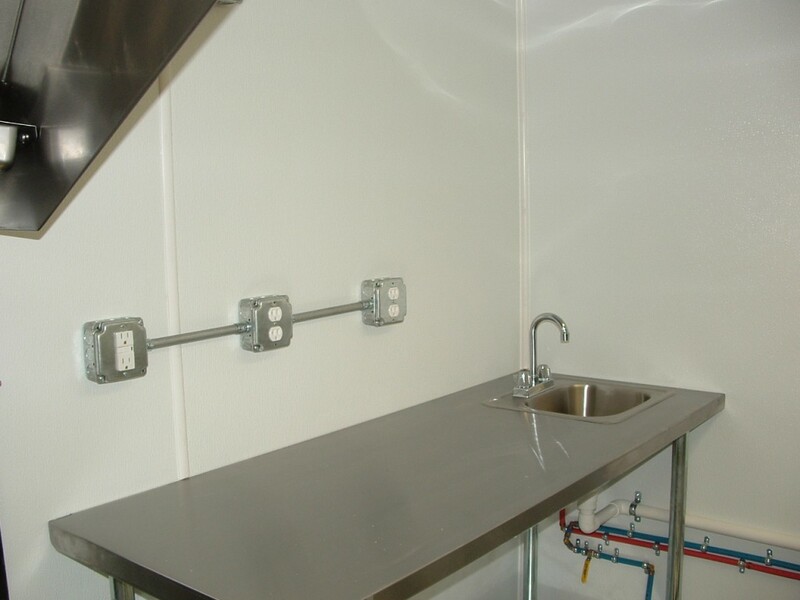 Additions that many of our customers make to this unit is to add signage, refrigeration, upgrade inside height, air conditioning, removable tongue, or add LP (Propane) Tanks.